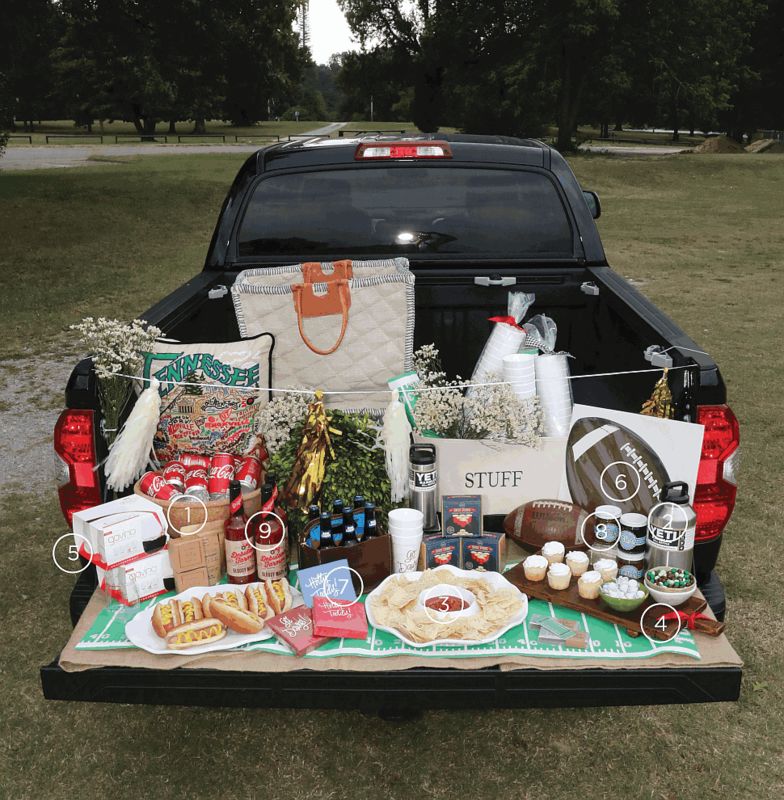 Let’s be honest, a big part of a great football season is the tailgate! From Tigers to UT and all stadiums in between, the team at Social: A Shop for Gracious Living has everything you need to score a win! 1. Juliska Quinta Cork Natural Cork Centerpiece Bowl/Party Bucket $395. Lightweight, stylish and perfectly practical for holding your favorite ice-cold beverage to chips and more! Proven to make a statement upon every occasion! 2. Yeti 64oz. Rambler $69. Mix up your favorite cocktail (mimosas, bloody marys, you name it!) and take it pre-made and ready to serve. 3. Q-Squared Melamine Serving Platters & Chip and Dip $26-$62. These beautifully crafted 100% Melamine serve-ware are perfect for all of your tailgating needs. BPA free and food safe, chip resistant, and dishwasher safe. With the look of ceramic, these pieces will be the hit at every indoor and outdoor get together! 4. Europe2you Rustic Serving Tray $72. These unique, reclaimed wood serving trays are ideal for all of your football entertaining needs. Not only can you prepare your food on it, it’s the perfect piece to add a little rustic charm when serving up your favorite tailgating spread. 5. GoVino Wine Glasses. Shatterproof and reusable, need we say more? Must have for any occasion! 6. Hester & Cook Touchdown Runner and Football Placemats $26-$29. The Die-Cut Football Placemat and Touchdown Runner are a great addition to your next football-themed party or tailgate. Get in the spirit while dressing up your tablescape. 7. Natalie Chang Cups & Napkins $8-$10. Choose your favorite school team and enjoy cheering your team on in style with the spirited Styrofoam cups and napkins from one of our favorite local Memphians! 8. Flo’s Favorites $11-$13. What would a tailgate be without great food? From Bread & Butter Pickles to Chow Chow, local Memphian Felicia Suzanne’s delectable items will have you coming back for more. One of our favorites is placing a dollop of Flo’s Pepper Jelly on easy-to-make pimento cheese tarts, for the ultimate easy appetizer! 9. Debutante Farmer Bloody Mary Mix $15. We have all seen The Debutante Farmer, Elizabeth Heiskell, on The Today Show, whipping up her favorite meals, but now you can bring a little piece of Mississippi home with you. A bloody mary fit for a debutante or gentleman. Made with beautiful tomatoes and bushels of love in the heart of the South.